Through experience I find that it is not just the Included allergens that are the problem. 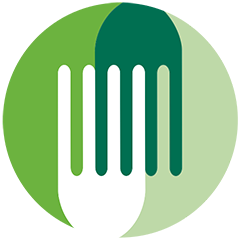 Cross contamination is just as big an issue as the ingredients and this needs to be addressed as well as ingredient labelling. Interesting that nurseries can still legally sell the most allergenic trees possible. People can then buy them and plant them right on their fence-line, right next to your house. Because of cross-reactivity, many, perhaps most, food allergies are initially triggered by over-exposure to some type of allergenic pollen (probably home-grown in the landscape)..
As of yet, there are NO laws at all that say that nursery plants must be labeled per their potential to trigger allergy. This is a serious mistake….and don’t count on horticulture to do this on their own. I learned recently that staff in a pharmacy who are behind the counter and go and get the already-made-up-by-a-pharmacist prescription and hand it to the patient need to have received special training. They are not just someone employed as a shop assistant as if in an ordinary shop. 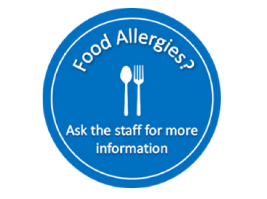 So making each outlet have a qualified allergy adviser on the staff should be made a requirement. Maybe there should be a uniform, with a distinctive colour, like the way that staff nurses wear a different colour uniform than healthcare assistants, and sisters wear another colour. That way the public would know that the person in that colour uniform is the allergy adviser at that outlet. Yes, it would cost money, but each outlet would need to do it, and the person could do other work as well. Yet lots of things that are done in society cost money, like having doctors and nurses and hospitals, and registering dentists, yet society does it because society thinks it worthwhile.. I remember a story from years ago. Apparently when instant mashed potato was first launched years ago there was concern that the manufacturing process destroyed (some or all?) of the vitamin C in the potatoes and that that could lead to vitamin deficiency as the product was becoming widely used as a staple food. So manufacturers all agreed to add vitamin C to the product. It cost money, but it did not distort the market as each manufacturer did it. Likewise, having a qualified allergy adviser on the staff would cost money, yet each outlet would need to have one, or more for a big outlet. Certainly some outlets are bigger than others, but maybe there could be a government subsidy for the cost paid by a levy on all outlets according to size.